An entire package of bacon? Sounds good to me! Well, maybe just a couple pieces chopped up for my caesar salad. 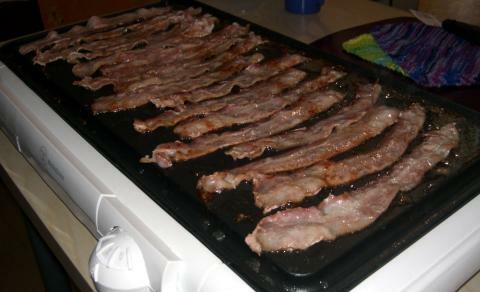 The point is that I can cook an entire package of bacon at once, and that’s something worth bragging about. (The rest are being frozen for later.) Or, if you prefer, I could do a batch of pancakes or six grilled cheese sandwiches.